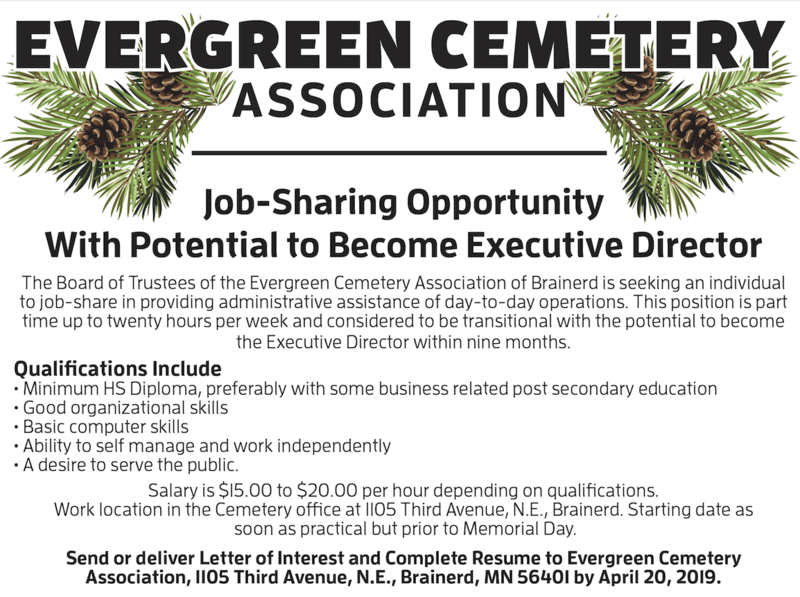 The Board of Trustees of the Evergreen Cemetery Association of Brainerd, MN is seeking an individual to job-share in the overall administration of the challenging operations of one of the premier outstate cemeteries in Minnesota. This position is part time up to twenty hours per week and considered to be transitional with the potential to become the Executive Director within nine months. Salary is $15.00 to $20.00 per hour depending on qualifications. Work location is the Cemetery office at 1105 Third Avenue, N.E., Brainerd, MN.  Starting date as soon as practical but prior to Memorial Day. A current job description for the Executive Director position is available from the office during normal working hours. Evergreen Cemetery Association is a Private 501(c)(13) Non-profit Association managed by a volunteer Board of Trustees responsible for Evergreen Cemetery in N.E. Brainerd and Memorial Gardens Cemetery north of Brainerd on County Road 3.